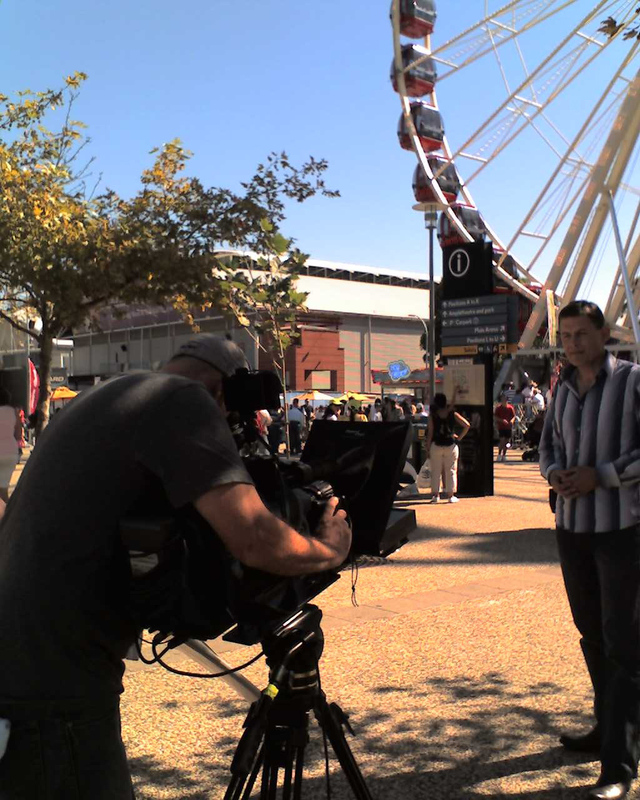 Suzy Cue's On-Camera prompter systems and operators cater to all your production needs. Check the Frequently Asked Questions page for more details on such items as camera base plates, setup times and script formats. NEW! Our newly modified Cam-Cue! adjustable. The eyeline of the presenter is not affected when used at two metres or beyond. Click here to find out more about our Cam-Cue. We have Camera Displays to suit Studio, Portable and Film cameras with either 13" or 15" Flatscreen monitors. Our plates are mounted directly onto either a tripod or pedestal with the assistance of our on site operator. Free-standing monitors are also available. The choice is yours - 7” Flat Screen or 10” Baby-Cues are proven winners for these applications. They can also be powered by battery or mains power. Now with a wireless solution for total portability. Monitors can be set up out of shot, but to the correct eyeline height and over the shoulders of each presenter. This is especially handy for long passages of script or technical jargon and can dramatically reduce your shooting time and tight budgets! Whether on a beach, yacht or private home, Suzy Cue can provide the prompter for you. 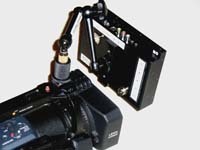 Our equipment is not only portable but streamlined to enable us to change position with the camera or sound. Systems can be powered by either battery or mains power. Check the Frequently Asked Questions page for more specific questions about our location equipment and procedures. Our experience in this field is enormous both in Australia and overseas. We have worked on a vast range of events, from major sporting events to news crosses, current affair programs, concerts and pageants. We welcome the challenge that live events can bring. Our computers and Flatscreen Camera Displays are battery powered. Our screens are HiBright LED backlit and quite easily daylight readable even on a bright sunny day. 7”, 10” or 15” HiBright LED displays are available. We are happy to advise what would best suit your individual requirements. Whether filming in the office of a busy CEO to a factory or stairwell, we have the equipment required. Our 13" or 15" Flatscreens suit most "to camera" shots – and 5" or 6" Baby-Cues or Cam-Cues when a lot of re-locating is required. For small profile cameras we can provide a stand for our monitor.